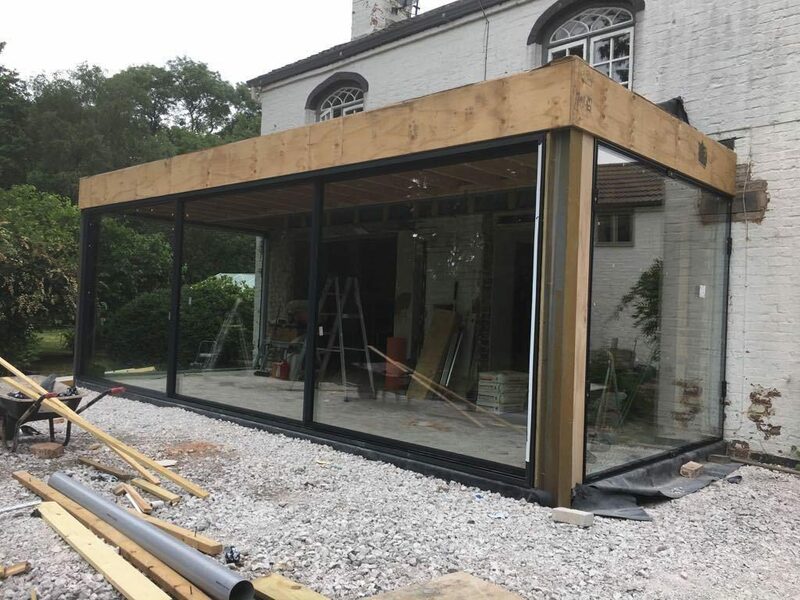 A wonderful extension in the heart of Chester with just 5 panes of glass weighing in at just over a tonne! The Patio door is 7 meters long complete with 3 doors. The returns are 3 meters deep – we will be back on site to finish off with a glass roof.